Hello friends!!! Hope all are well :) :) Its been a week since I last posted and am still waiting for the end of coming week to get stable. I'm just praying that things go the way I want coz this step will be a milestone in my career life!!! Honestly, when I'm not trying. Sometimes if I sit down because I have to make something for a design team challenge the creativity doesn't flow as well. A lot of the time I can be blog surfing, or perusing Pinterest, or even reading a magazine and something will trigger an idea. Those are the times I find I am most in love with my cards. I don't know if I have a favourite! My favourite style is definitely Clean & Simple. I see new techniques all the time and I just HAVE to try them. I have so much stuff from trying something and then realizing I can't make it work with my style. I do love paper piecing and colouring with my copics. Not that I'm any good with the copics as they are supposed to be used, ie the blending, but I have always loved to colour. They do in that I love learning new things, styles, techniques etc. I don't necessarily follow it whole heartedly, but I will use them to try take my style in a different direction. 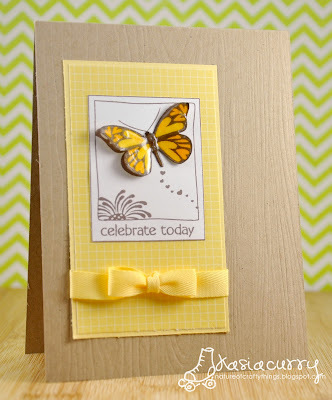 Yes, embellishing! 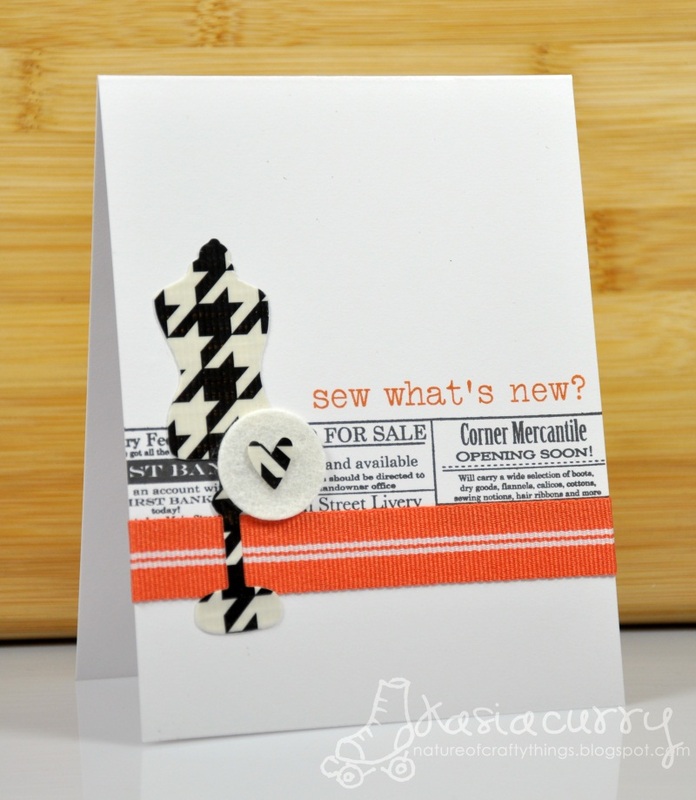 I am always in awe of designers that can pair multiple patterned papers together, and put abundant amounts of ribbon, and buttons, and bling on their cards and have it look so fabulous. 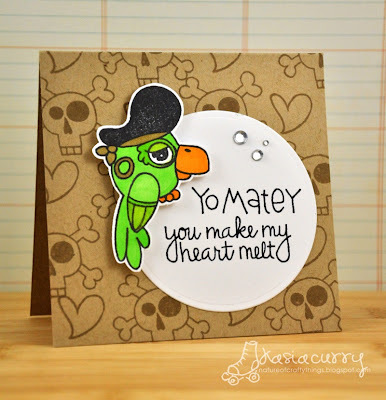 If I try to make a card like that, I end up finding it too busy and start taking things off! There are so many designers to choose from! Emily from Art From The Heart, a fellow Canadian who has mastered CAS and has a keen eye for finding multiple uses for stamps and things, I just love how her mind works. Cristina from My Paper Secret, another CAS master who puts a wonderfully unique spin on everything she does. I also love Heather from Witty Title Here, her style is fresh and clean and the way she uses colour is amazing. Clean and Simple, for sure. I try and branch out sometimes, but it's something that I always come back to. It could take anywhere from 10 minutes to all night! It depends on how my creativity is flowing on a given day. Right now I either give them away, or they are stored in a beautiful box in my craft room. I have recently been toying with the idea of selling them, I just need to figure out what avenue would work best for me. 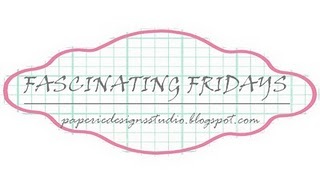 Yes, I am currently a design team member for ColourQ colour challenge, Bows & Berries digital stamps, and Scrapbooker's Paradise Playing in Paradise challenges. I was also privileged to be the first monthly guest designer for Paper Smooches stamps. Love this girl! 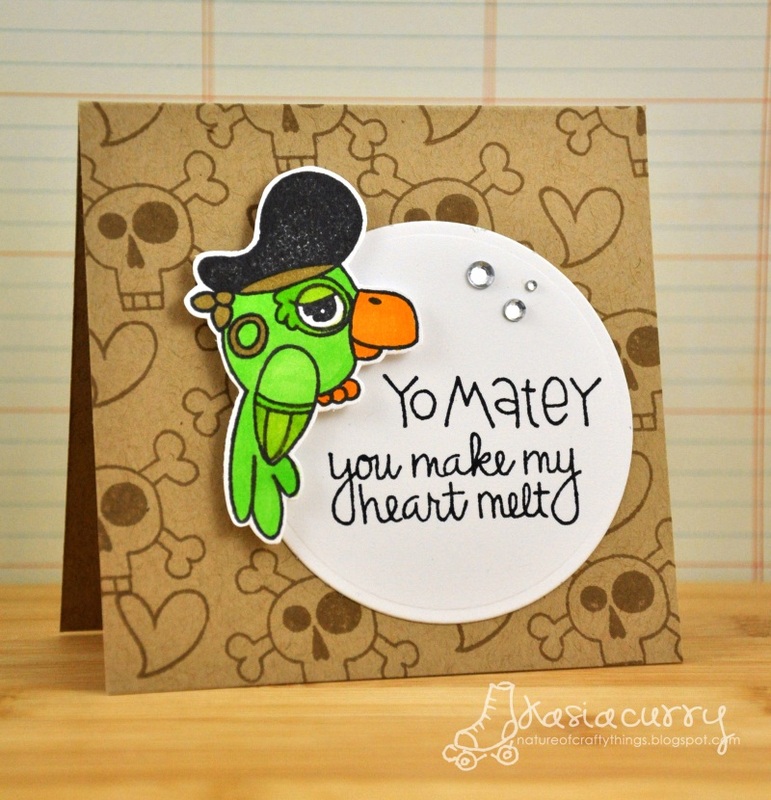 Her cards can be cute, adorable as well as sophisticated! She inspires me constantly! Wonderful cards! I love your classic, clean style!